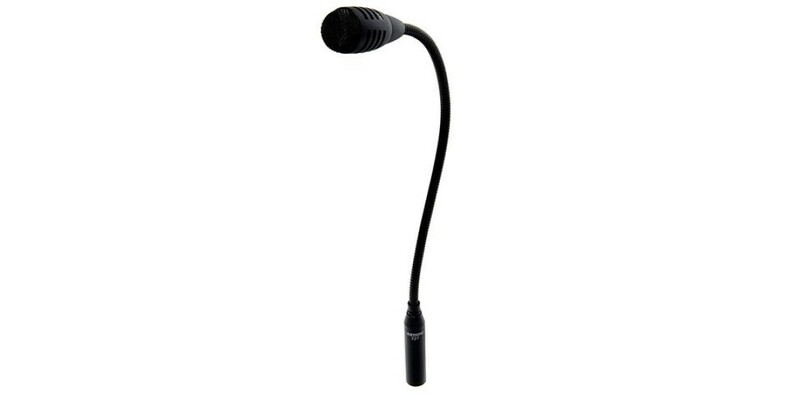 The 727-18 is a cardioid, dynamic, miniature-gooseneck microphone with internal shock suppression. Special attention has been paid to ensure that this microphone has high sensitivity while providing the dependability and durability associated with more traditional dynamic microphones. 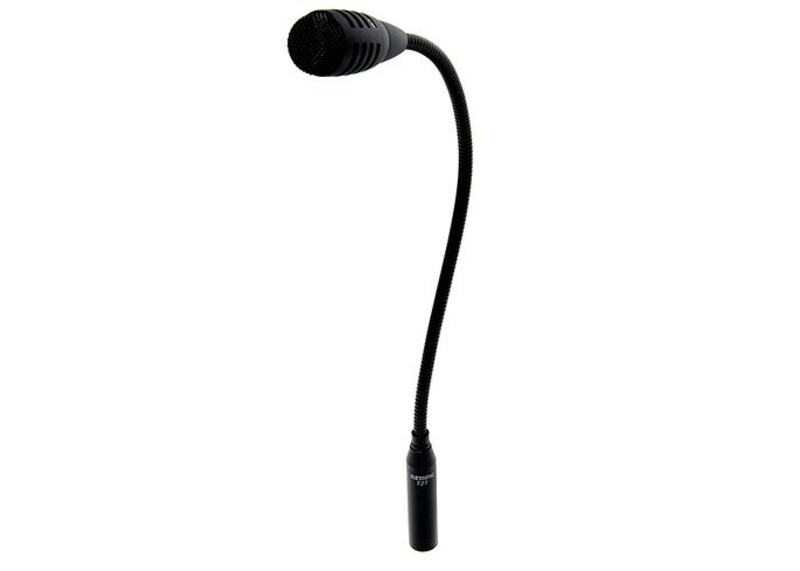 The smooth frequency response with articulation emphasis makes this microphone suitable for speech applications on desks, podiums, or audio and equipment consoles. The 8mm commercial-grade flexible gooseneck provides silent adjustability, engineered to withstand the rigors of daily repositioning. The gooseneck will maintain its shape over time resisting sag and fatigue. The hardened grille screen resists dents and deformation due to accidental mishandling. The cardioid polar pattern features a 120 degree pick-up angle providing excellent off-axis rejection. Feedback is minimized in sound reinforcement applications while the pickup of reverberation, ambient and background noise is significantly reduced. Polarity: Positive pressure on diaphragm corresponds to positive voltage on pin 2 relative to pin 3. RF Immunity: Meets or exceeds EN55103-2, E1, E2, E3 and E4.